I am runnng a Microsoft SQL sensor on the PRTG remote probe with a SQL script (see below for the script). When I run the script from Management Studio it works as it should (returns 0-5 affected rows). However, when I try to run the same script with PRTG it has 300+ affected rows. 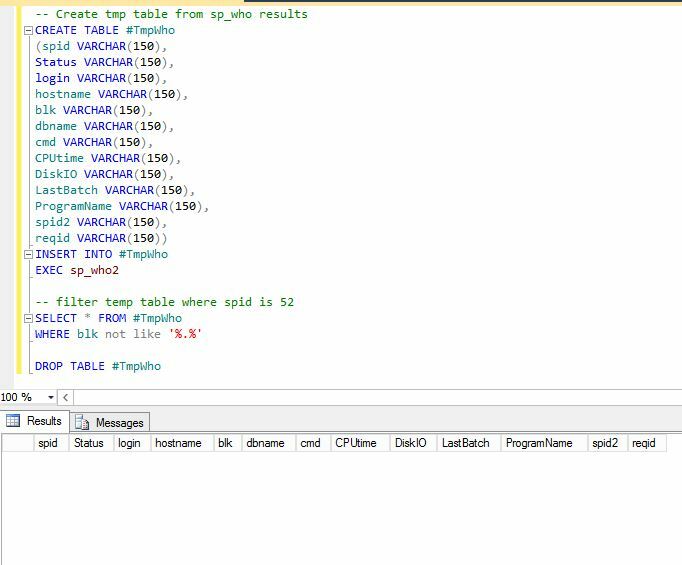 I am creating a temp table which generates the 300+ rows, but then I have a filter to only pick out certain rows (the 0-5 row mentioned earlier). Any ideas as to why PTRG is showing the unfiltered rows?